Fettuccine Alfredo is an Italian pasta dish that’s traditionally made from fettuccine tossed with Parmigiano-Reggiano and butter. 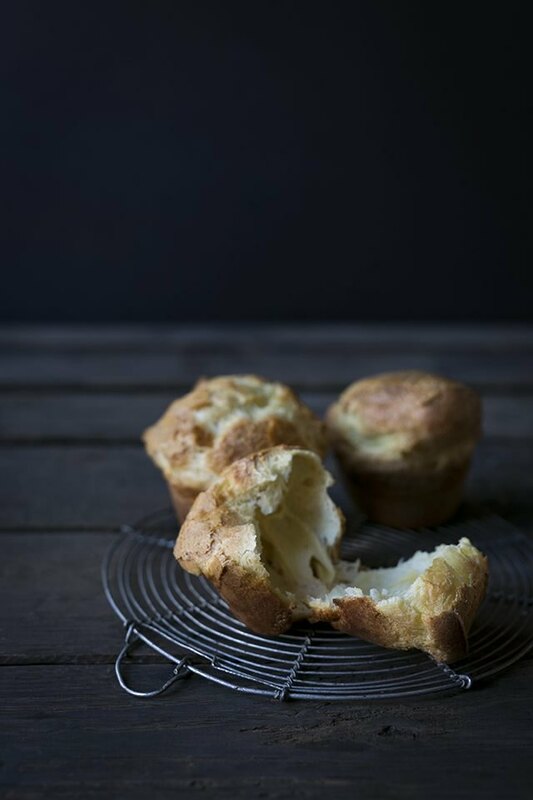 It's simple comfort food at its finest. 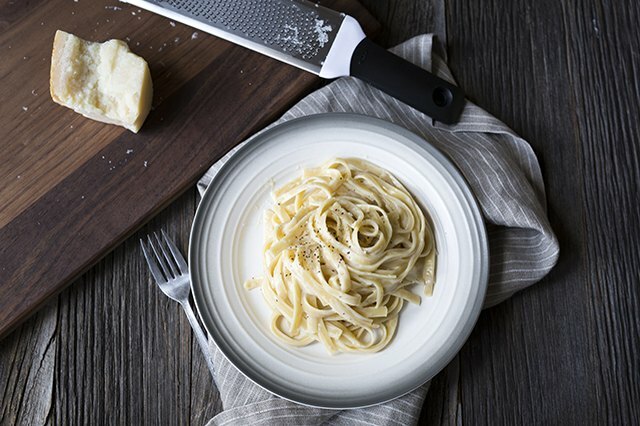 Many modern day Alfredo recipes, including this one, use a cream base. 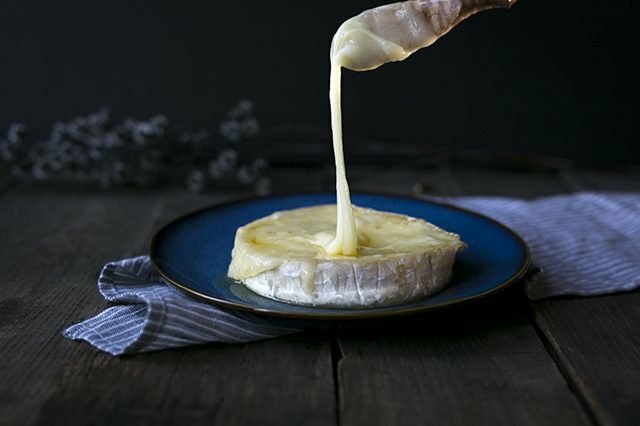 Heavy cream not only acts as an emulsifier, it creates a lovely harmony between the flavors. This easy recipe comes together in no time. You can prepare the sauce while the pasta is cooking. 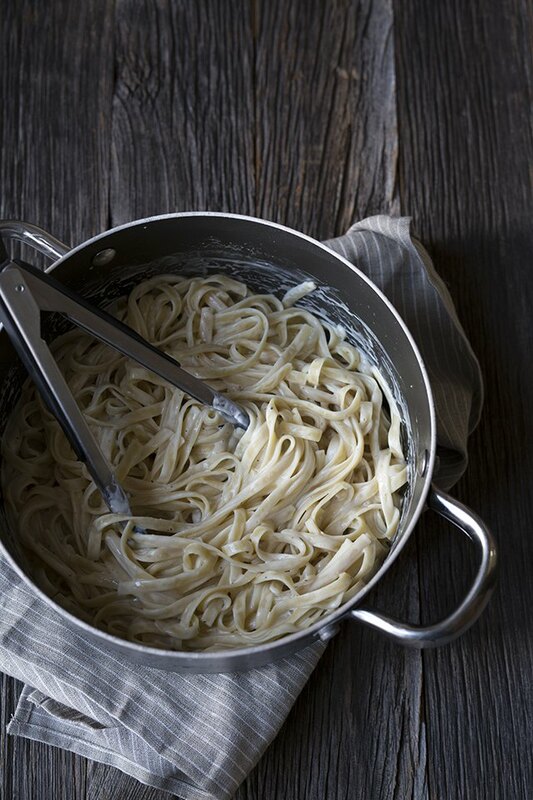 Fettuccine Alfredo requires only a few ingredients, so it's important that each of them be high quality. While fresh pasta is ideal, it's not always readily available. Some upscale grocery stores or Italian markets sell fresh pastas, but dried fettuccine will absolutely work here. Other long pasta types, such as linguine or pappardelle, are also a great option if fettuccine is not available. If possible, use freshly grated Parmigiano-Reggiano cheese. 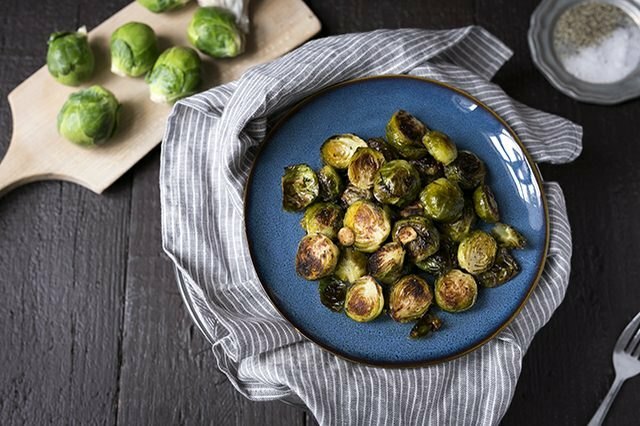 It has a complex flavor that's nutty, salty, rich and savory; it brings so much depth to the final dish. 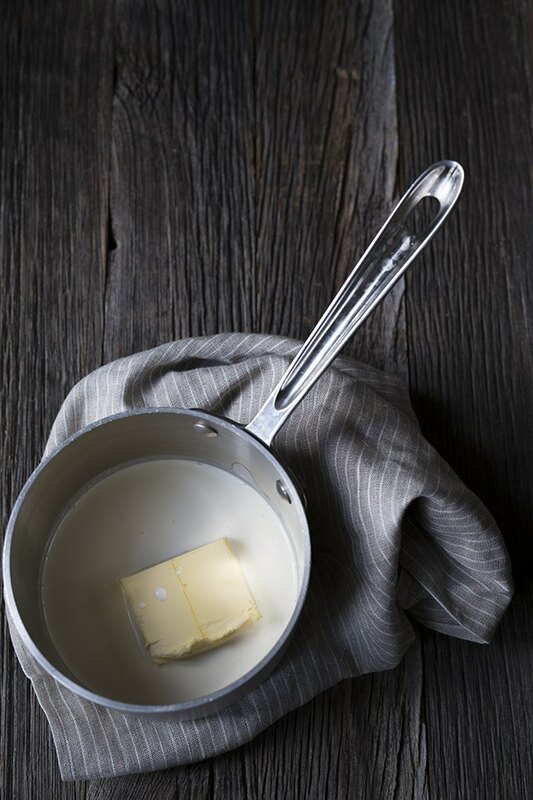 While regular unsalted butter will work, European butters have a higher fat content and will enhance the flavor and texture of the sauce. 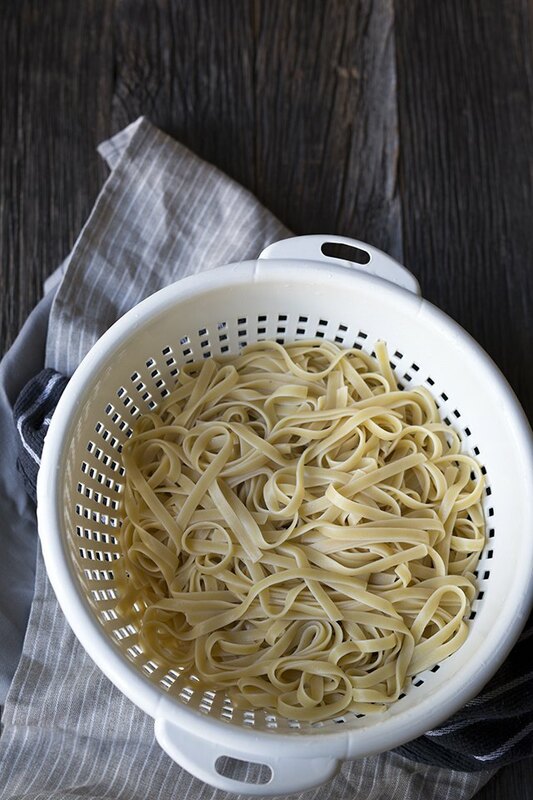 Bring a large pot of salted water to a rolling boil, and cook the pasta until al dente. 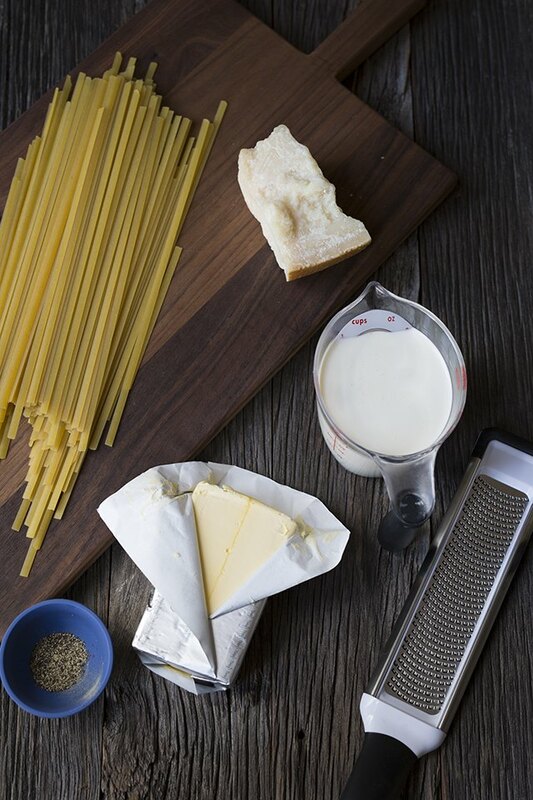 This will take approximately 4 minutes for fresh pasta or 11 minutes for dried pasta. Drain and set aside. While the pasta is cooking, prepare the sauce. In a heavy-bottom saucepan over medium-high heat, bring the cream and butter to a boil, stirring to combine the ingredients. Once the butter has completely melted and the liquid is boiling, remove from the heat and whisk in the pepper and cheese until smooth. While everything is hot, immediately combine the sauce and freshly cooked pasta, tossing to combine. Season with salt to taste, as well as additional black pepper if desired. Serve topped with additional freshly grated Parmigiano-Reggiano cheese. Reheating leftovers? 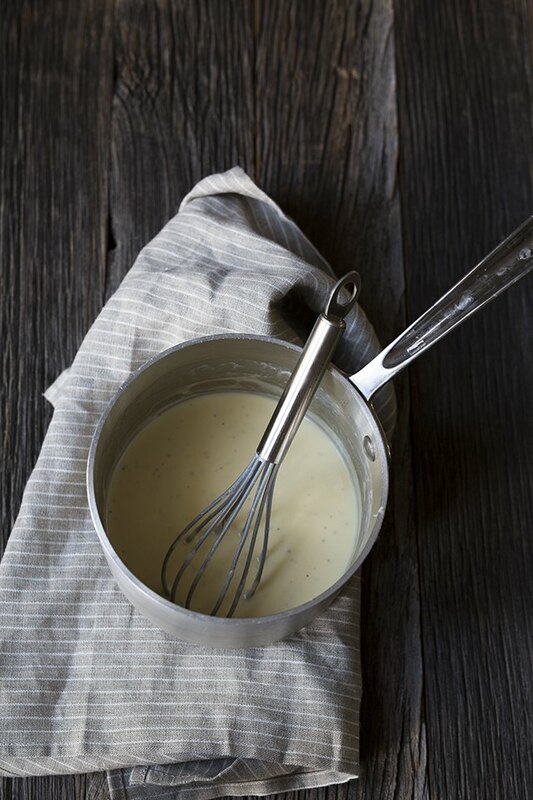 Cream and butter-based sauces can break if they're not reheated slowly and carefully. To reheat the pasta at a later time, place it in a saucepan and stir over low heat, or microwave in 30 second increments, stirring, until the desired temperature is reached. If the sauce becomes too thick upon reheating, try stirring in an additional 1 to 2 tablespoons of heavy cream.